Thinking of getting engaged? 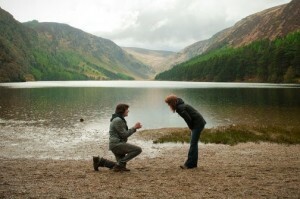 You have to check out today’s Blog Proposing in Ireland? – Here are the Top 7 Places to do it. Reopening in 2017, the hotel will not just celebrate its own new beginnings, but also yours. The completely restored, luxurious hotel and stunning grounds will offer the most amazing backdrops for your proposal. 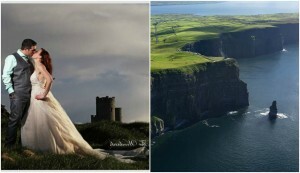 The spectacular cliffs are world famous for their amazing views and eye-catching surroundings and are definitely one of Ireland’s most romantic places. Whether on holidays or from Ireland, this is a couples’ paradise. Not just for pilgrimages – Croagh Patrick stuns again and again with breath-taking views. Once you reach the summit, use the euphoria to pop the question on the mountain top. 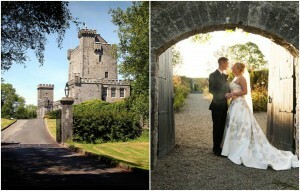 The magnificent estate surrounding Dromoland Castle offers many different opportunities for you to pop the question. The fantastically, romantic options include Horse & carriage rides or a romantic walk to the Temple of Mercury. Have an owl deliver the ring while you play a game of golf or while being on a boat on the lake. Lots of opportunities sure to WOW your partner. The castle was built in the 15th century and is set to bring you back in time. Pop the question during a medieval banquet, while walking through the magical Walled Garden or while staying in your very own exclusively rented castle. When in Killarney, take a romantic trip on a jaunting car through the National Park , Muckross park or up the Gap of Dunloe. Enjoy the breath-taking scenery and make it even more stunning by asking your important question, seeing your partner’s face light up. The castle, just outside of Dublin City, is set to stun you and your partner immediately. Horse-back riding, a romantic walk or just being on the steps of your very own castle is going to be a massive plus factor for your very romantic proposal.